How Netstal expertise in high-end injection moulding is being used for in-vitro diagnostics. The quick and precise analysis of tiny tissue samples is of the utmost importance for the diagnosis of life-threatening illnesses. For this purpose, analytical instruments are used in which a laser evaporates human specimens and turns them into a mixture of molecules. That mixture is then accelerated linearly in an electric field and fed into a detector unit. The mass spectrum recorded there allows the comparison of benign and malignant cells or serves to identify different types of bacteria. The sample carrier being used is one of the analysis system’s precision components. This is a rectangular platelet in a microscopic format (75 x 25 x 2mm) produced by Stratec Consumables. 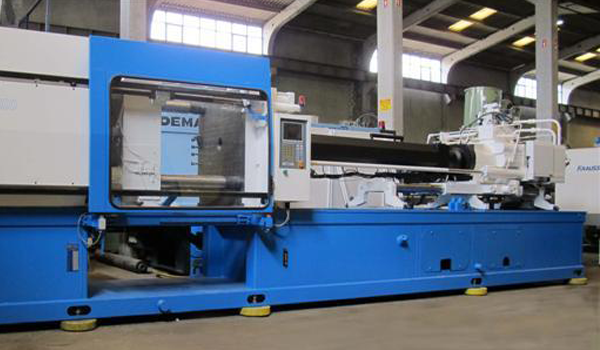 The company chose Netstal injection moulding machines for its last expansion. In the concrete case, 48 deposition points for molecular samples (12 x 4 matrix) are located on a sample carrier, all of which must provide the same starting point for the analysis process. This is only possible if the sample carriers remain dimensionally stable without distortion within narrow tolerances — both during the analysis process as well as during the optional low temperature archiving (-80°C) for reference purposes. Stratec uses Sony DADC know-how and processes developed for the production of CDs, DVDs and Blu-ray disks – in particular precision injection moulding in a cleanroom, thin-wall metal coating or printing. Despite their conventional appearance, the carrier plates for human sample analysis produced by Stratec Consumables in large series are high-precision plastic parts on which extreme demands are placed. The necessary dimensional and shape precision makes the highest demands on metering, pressure control and pressure changeover. To meet this requirement, Netstal generally relies on pressure sensors for all machines, which are optimised by its own development contributions and used in combination with a controller architecture that is matched to this. In addition, this technology package is not a standard configuration for all machines but is matched to their size. This ensures the currently highest dynamics during injection and ultra-precise process control. The stable gearbox design and a plasticizing unit with a temperature stability of +/- 0.25 °C guarantee that identical parts are continuously produced without the need for additional control algorithms to compensate for external influences.